Mr. Yan Zhi ( 閻志),aged 44, Mr. Yan was appointed as a Director on 16 December 2010 and was redesignated as an executive Director on 20 June 2011 and co-chairman of the Board on 17 August 2015. Mr.Yan is the co-chairman of the Board, the chief executive officer of the Company, an executive Director and thefounder of the Group. He is primarily responsible for the Group’s overall business and investment strategies, as well as supervising its project planning, business and operation management. He has approximately 12 years of experience in the commercial property and wholesale shopping mall industries, as well as approximately 21 years of experience in business management in various industry. Mr. Yan has been appointed as a non-executive director and the chairman of CIG Yangtze Ports PLC, a company listed on the GEM Board of the Stock Exchange (Stock code: 8233), since 21 November 2011. Mr. Yan has been appointed as a director of LightInTheBox, a company listed on the New York Stock Exchange since 30 March 2016. Mr. Yan received a master’s degree in business dministration for senior executives from Wuhan University ( 武漢大學) in February 2008 and his executive master of business administration degree at Cheung Kong Graduate School of Management ( 長江商學院) in 2013. Dr. Gang Yu （于剛） , aged 57, Dr. Yu was appointed as an executive Director and co-chairman of the Board on 17 August 2015. Dr. Yu was a co-founder and chairman emeritus of Yihaodian, a leading e-commerce company in China. Dr. Yu has extensive experience in E-commerce and operation and logistics management. Prior to founding Yihaodian, he was Vice President, Worldwide Procurement at Dell Inc. Dr. Yu also served as Vice President, Worldwide Supply Chain Operations at Amazon.com. Prior to joining Amazon, Dr. Yu served as the Jack G. Taylor Chair Professor in Business in the Department of Management Science and Information Systems at the McCombs School of Business, the University of Texas at Austin, Director of the Center for Management of Operations and Logistics, and co-Director of the Center for Decision Making under Uncertainty. Dr. Yu is also the founder, former chairman and chief executive officer of CALEB Technologies Corporation. Dr. Yu obtained his bachelor degree in science from Wuhan University in 1982 and his master degree in science from Cornell University in 1985. Dr. Yu received his PhD from the Wharton School of Business, University of Pennsylvania in 1990. Dr. Yu has been appointed as a director of LightInTheBox, a company listed on the New York Stock Exchange since 30 March 2016. Mr. Wei Zhe, David（衞哲）, aged 46,was appointed as an executive Director on 28 June 2017. Mr. Wei has over 16 years of experience in both investment and operational management in the People’s Republic of China. Prior to launching Vision Knight Capital (China) Fund I, L.P., a private equity investment fund in 2011, Mr. Wei was an executive director and chief executive officer of Alibaba.com Limited, a leading worldwide B2B e-commerce company, for about five years, where he successfully led the company through its initial public offering and listing on the Stock Exchange in 2007. Alibaba.com Limited was delisted in June 2012. Prior to Alibaba.com Limited, Mr. Wei was the president, from 2002 to 2006, and chief financial officer, from 2000 to 2002, of B&Q China, the then subsidiary of Kingfisher plc, a leading home improvement retailer in Europe and Asia. Under Mr. Wei’s leadership, B&Q China grew to become China’s largest home improvement retailer. From 2003 to 2006, Mr. Wei was also the chief representative for Kingfisher’s China sourcing office, Kingfisher Asia Limited. Prior to that, Mr. Wei served as the head of investment banking at Orient Securities Company Limited from 1998 to 2000, and as corporate finance manager at Coopers & Lybrand (now part of PricewaterhouseCoopers) from 1995 to 1998. Mr Wei was a non-executive director of HSBC Bank (China) Company Limited and The Hongkong and Shanghai Banking Corporation Limited and an independent director of 500.com Limited, and was also the vice chairman of China Chain Store & Franchise Association. He was voted as one of “China’s Best CEOs” by FinanceAsia magazine in 2010. Mr. Wei is also a non-executive director of PCCW Limited and Zhong Ao Home Group Limited, both of which are listed on the Stock Exchange, and an independent director of Leju Holdings Limited which is listed on the New York Stock Exchange and Shanghai M&G Stationery Inc. which is listed on the Shanghai Stock Exchange. He holds a bachelor’s degree in international business management from Shanghai International Studies University and has completed a corporate finance program at London Business School. Mr. Cui Jinfeng ( 崔錦鋒), aged 38, currently is the chairman of the Group’s Tianjian Zall E-commerce Mall. He was appointed as an executive Director on 20 June 2011. Mr. Cui joined the Group in July 2005 and is primarily responsible for the overall day-to-day management of our projects outside Hubei Province. Mr. Cui has over 12 years of experience in the wholesale market and commercial property industries. Mr. Cui received a diploma in motor vehicle manufacturing and maintenance from Jianghan University ( 江漢大學) in June 2000 and obtained his master’s degree in business administration from The Chinese University of Hong Kong in July 2014. Mr. Peng Chi ( 彭池), aged 54, was appointed as an independent non-executive Director on 20 June 2011 and was re-designated as an executive Director on 11 April 2016. Mr. Peng has over 18 years of experience in real estate development and management of large-scale infrastructure constructions. From May 1999 to present, Mr.Peng has been serving as a chairman of Ramada Hotel Xiamen Co., Ltd. ( 廈門華美達長升大酒店有限公司). From May 2004 to December 2006, Mr. Peng was the general manager of Hubei Jingdong Highway Construction and Development Co., Ltd. ( 湖北荊東高速公路建設開發有限公司). From May 2004 to present, Mr. Peng has been serving as a chairman of Wuhan Tianshi Property Development Co., Ltd. ( 武漢市天時物業發展有限責任公司). From January 2008 to present, Mr. Peng has been serving as a chairman of Hubei E’dong Yangtze River Highway Bridge Co., Ltd. ( 湖北鄂東長江公路大橋有限公司). Mr. Peng obtained a bachelor’s degree in history and literature from Hubei University ( 湖北大學) in July 1984 and received Doctor degree in History from Wuhan University in 2014. Mr. Cheung Ka Fai ( 張家輝) , aged 42, was appointed as an independent non-executive Director on 20 June 2011. Mr. Cheung has over 19 years of experience in auditing, accounting and finance. Prior to joining the Group, Mr. Cheung worked as an auditor at Deloitte Touche Tohmatsu and served as the financial controller and company secretary of two companies listed on the Growth Enterprise Market (“GEM”) Board of the Stock Exchange. Mr. Cheung was the chief financial officer and company secretary of Huscoke Resources Holdings Limited, a company listed on the Main Board of the Stock Exchange from June 2008 to July 2012 and an executive director of Huscoke Resources Holdings Limited from October 2009 to July 2012. He has been serving as the chief financial officer of Bonjour Holdings Limited, a company listed on the Main Board of the Stock Exchange from August 2012 to present. Mr. Cheung is an associate member of the Hong Kong Institute of Certified Public Accountants and a fellow of the Association of Chartered Certified Accountants. He obtained a bachelor’s degree in accountancy from the Hong Kong Polytechnic University in November 1997 and a master’s degree in business administration from the University of Bradford in January 2008. Mr. Wu Ying（吳鷹）, aged 57, was appointed as an independent non-executive Director on 29 February 2016. Mr. Wu is currently the chairman of China Capital Group since October 2008. Prior to joining China Capital Group, Mr. Wu served as chairman and chief executive officer of UTStarcom (China) Co. Ltd for 12 years. 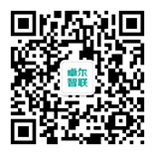 Mr. Wu has extensive experience in telecommunication industry and venture capital investment. Mr. Wu obtained his bachelor degree in electronic engineering from the Beijing University of Technology in 1982 and obtained his master degree in electronic engineering from the New Jersey Institute of Technology in 1988. Mr. Zhu Zhengfu （朱征夫）, aged 53, was appointed as an independent non-executive Director on 10 March 2017. He is graduated from Wuhan University with a PhD in International Economics Law in 1999 and holds a professional lawyer’s certificate issued by the Ministry of Justice of the People’s Republic of China. Mr. Zhu is currently the executive partner of Kunlun Law Firm ( 廣東東方昆侖律師事務所) and prior to that, Mr. Zhu was the deputy head of the Land Law Consultation Service Center of the Guangdong Province Land Resources Bureau ( 廣東省國土廳廣東地產法律諮詢服務中心) from 1995 to 1998, a partner at Guangdong Dalu Law Firm ( 廣東大陸律師事務所) from 1995 to 1998, the head of finance and real estate of Guangdong Economic Development Law Firm ( 廣州市經濟貿易律師事務所）from 1993 to 1995, and deputy department head of the economic development department of Wanbao Electronics Import and Export Co., Ltd. ( 萬寶電器進出口公司) from 1987 to 1993. Mr. Zhu is also an independent non-executive director of E Fund Management Co., Ltd. ( 易方達基金管理有限公司), an independent non-executive director of O Luxe Holdings Limited, which is listed on the Stock Exchange, an independent non-executive director of Guangzhou Guangdong Daily Media Co., Ltd. ( 廣東廣州日報傳媒股份有限公司), Wuhan Sante Cableways Group Co. Ltd. ( 武漢三特索道集團股份有限公司) and Beijing Honggao Creative Architectural Design Co., Limited ( 北京弘高創意建築設計股份有限公司), which are listed on the Shenzhen Stock Exchange, and Baoli Real Estate Group Co., Ltd. ( 保利房地產集團股份有限公司) and Dongjiang Environmental Co., Ltd. ( 東江環保股份有限公司), which are listed on the Shanghai Stock Exchange. Mr. Zhu Guo Hui ( 朱國輝), aged 40, is the chief financial officer of the Company. Mr. Zhu joined the Group in August 2014 and is primarily responsible for the financial management and capital market of the Company. Mr. Zhu possesses over 16 years of experience in the capital markets of Hong Kong and Mainland China. Prior to joining of the Company, Mr. Zhu has worked in various financial institutions including Credit Suisse, Value Partners Group (Stock Code: 806), a company listed on the Main Board of the Stock Exchange and BNP Paribas in connection with transactions on initial public offering, merger and acquisition, direct investment and corporate financing. Mr. Zhu holds a bachelor’s degree in economics from The Central University of Finance and Economics and a master’s degree in international business administration from The University of Hong Kong. Ms. Liu Qin ( 劉琴), aged 48, is the general manager of North Hankou Group Co. Ltd.. Ms. Liu is responsible for the management of North Hankou International Trade Centre. She joined the Group in 2007 and is responsible for the day-to-day operational management of Wuhan Big World Project. Ms. Liu has over 20 years of experience in real estate development, commercial projects operation, human resources management and administrative management. Miss. Liu acquired a Senior Economist Qualification certificate from Human Resources and Social Security Department of Hubei Province in 2014. Ms. Liu has been appointed as an executive director of CIG Yangtze Ports PLC, a company listed on the GEM Board of the Stock Exchange, since 21 November 2011. Mr. Li Bin ( 李斌), aged 46, is the executive deputy general manager of North Hankou Group Co., Ltd.. Mr. Li is currently responsible for the day-to-day operational management and property management of North Hankou International Trade Centre. Mr. Li has over 17 years of experience in property management and market management. Mr. Li joined the Group in July 2007 as the general manager of Wuhan North Hankou Market Management Co., Ltd. and has held various positions within the Group. From May 1999 to June 2007, Mr. Li was manager of the property management department of Meijia Property Management (Wuhan) Co., Ltd. ( 美佳物業管理( 深圳) 有限公司武漢分公司). Mr. Li received a diploma in Chinese language and literature education from Hubei University ( 湖北大學) in 1995. Mr. Cao Tianbin ( 曹天斌), aged 48, is the deputy general manager of North Hankou Group Co., Ltd and the general manager of Zall Development (Changsha) Co., Ltd.. Mr. Cao is primarily responsible for the overall sales and marketing and promotion of our projects. Mr. Cao has approximately 7 years of experience in the wholesale market and investment management industries, and has over 20 years of experience in the operational management of commercial projects. He joined the Group in August 2008 as the general manager of the merchandising department of North Hankou Group Co., Ltd. and has also been the assistant general manager of North Hankou Market Management Co., Ltd. since October 2009. Prior to joining the Group in August 2008, he was the vice general manager of Wuhan Wenhua Printing Co., Ltd. ( 武漢文華印務有限公司) from August 1996 to July 2008. Mr. Cao received a diploma in mechanical and electrical engineering from Lanzhou University of Technology ( 蘭州理工大學) (formerly known as Gansu University of Industry ( 甘肅工業大學)) in July 1991 and a master’s degree in finance from Zhongnan University of Economics and Law ( 中南財經政法大學) in December 2001. Ms. Lou Xiaoan ( 樓曉岸), aged 46, is the president of Zall Financial Services Group Limited. She is responsible for the Group’s finance business. Ms. Lou joined the Group in June 2016. Prior to joining the Company, Ms. Lou has worked in various banks and financial institutions, including Industrial and Commercial Bank of China, the Export–Import Bank of China, Bank of Kunlun Co., Ltd., Beijing Financial Assets Exchange and Shanghai Lujiazui International Financial Asset Exchange Co., Ltd. Ms. Lou holds an executive master’s degree in business administration from Beijing Institute of Technology. Ms. Min Xueqin ( 閔雪琴), aged 33, is the deputy general manager of North Hankou Group Co., Ltd., and the head of the Group’s general office. She is responsible for the Group’s administrative and finance issues. Ms.Min joined the Group in 2008, primarily responsible for the service management and financing of North Hankou International Trade Center. She has nearly 9 years of experience in the commercial property, wholesale shopping mall and financial industries. Ms. Min obtained a diploma in business administration from Zhongnan University of Economics and Law ( 中南財經政法大學) in 2006. She has been studying for an executive master of business administration degree at Wuhan University ( 武漢大學) since 2013. Mr. Lung Shei Kei ( 龍瑞麒), aged 31, is the financial controller, the company secretary and one of the authorized representatives of the Company. Mr. Lung is responsible for the financial management, capital market and company secretarial affairs of the Company. Mr. Lung has over nine years of experience in auditing, accounting and capital market. Prior to joining the Group in January 2017, he was a senior manager of PricewaterhouseCoopers. Mr. Lung hold a Bachelor degree in Accountancy from the Hong Kong Polytechnic University and he is a member of Hong Kong Institute of Certified Public Accountants. Save as disclosed in the section headed “Biographical Details of Directors and Senior Management” in this annual report, there was no change to any of the information required to be disclosed in relation to any Director pursuant to paragraphs (a) to (e) and (g) of rule 13.51(2) of the Rules Governing the Listing of Securities on the Stock Exchange of Hong Kong Limited (the “Listing Rules”) during the year ended 31 December 2016.